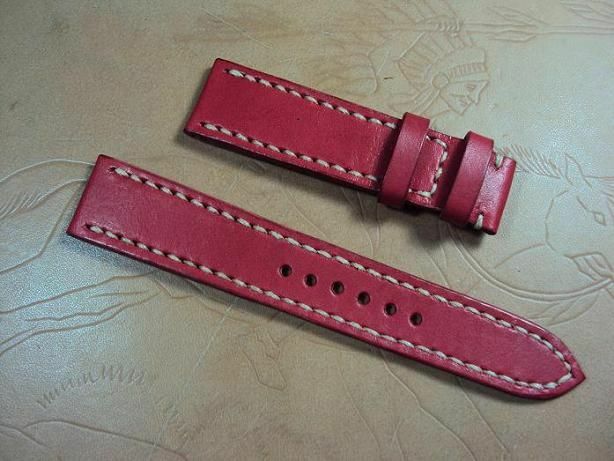 TimeZone : Sales Corner » FS:Cheergiant custom straps Svw360~371 include AP,Bell & Ross,IWC,Ferrari,Hamilton,Maurice Lacroix. 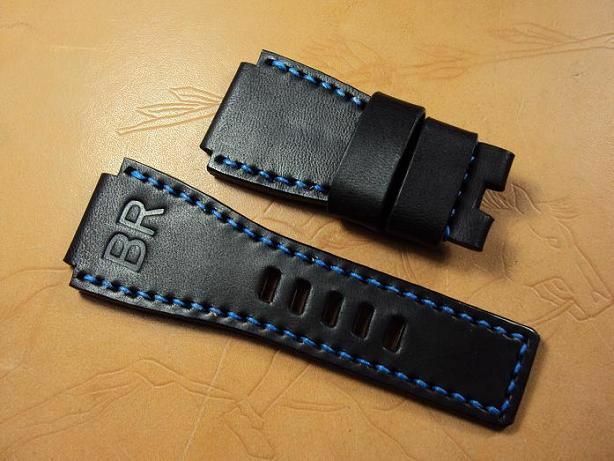 Here are some custom straps of various brand watches Svw360~371 include AP Audemars Safari, Bell & Ross BR-01 BR-02 and BR-03, IWC, Ferrari Girrard Perrigaux, Hamilton, Maurice Lacroix Masterpiece Reveil Globe, NOMOS custom straps. 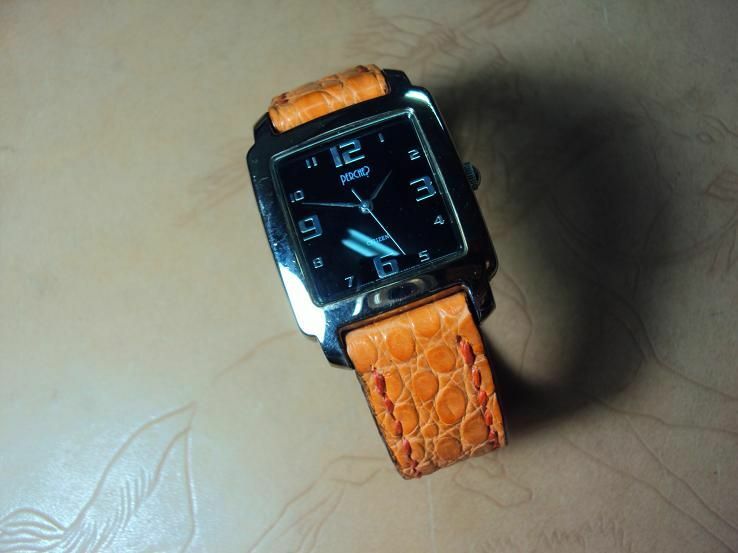 Svw360, Audemars Piguet ROO Safari chocolate brown vintage leather strap, 26x20mm, 120x75mm, thick 4.5mm taper to 2.5mm, brown stitch. 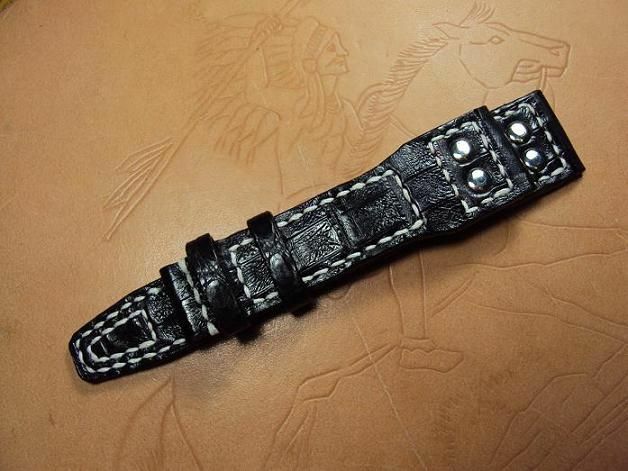 The producing process of the AP ROO custom strap is a particularly difficult work. 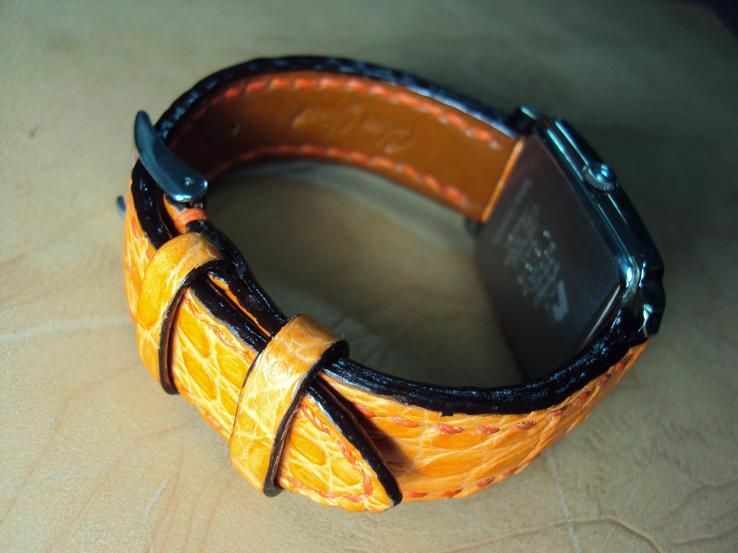 The Audemars Piguet ROO Safari custom leather strap is priced at $ 280 USD, now charges the promotional price at $ 200 USD. Shipping for worldwide Express Mail Service please plus extra $ 24 USD. 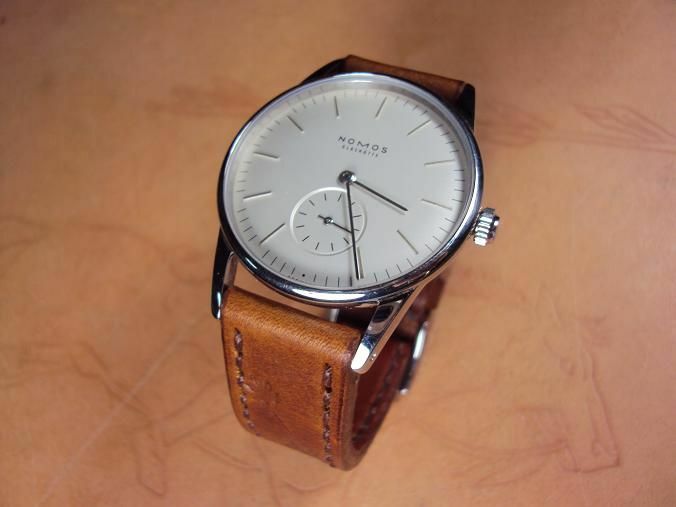 Svw361, Bell & Ross BR-01 honey brown leather strap, 24x24mm, 125x75mm, thick 6.3mm taper to 5.8mm, cream stitch. 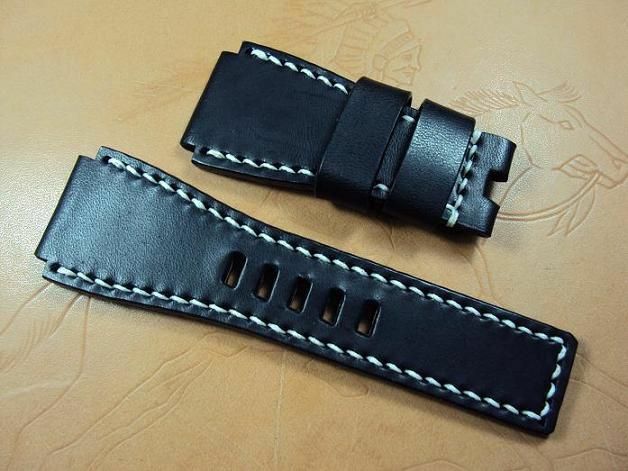 Svw362, Bell & Ross BR-02 ultrasoft black leather strap, 26x24mm, 125x75mm, thick 4.0mm, white stitch. 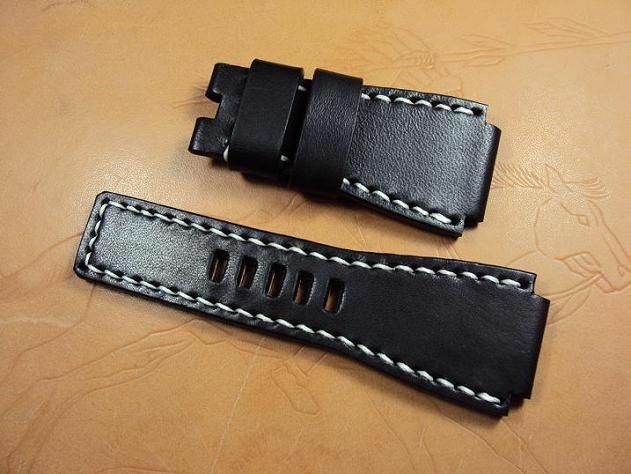 Svw363, Bell & Ross BR-03 ultrasoft black leather strap, 24x24mm, 75x115mm, 6.0mm taper to 4.0mm, white stitch. 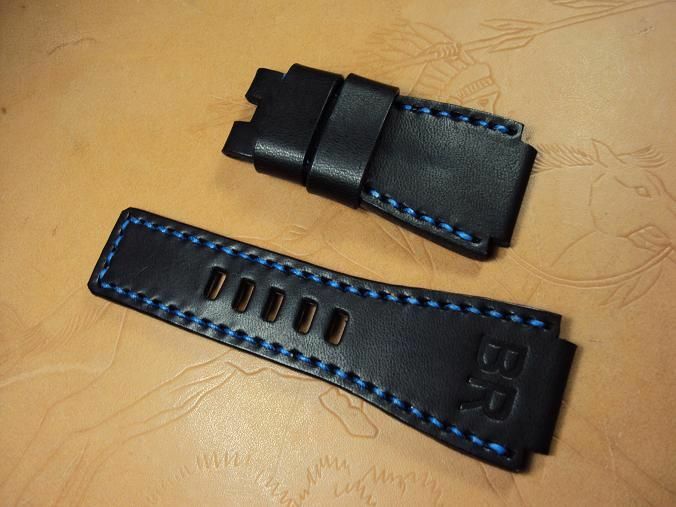 Svw364, Bell & Ross BR-03 ultrasoft black leather custom strap, 24x24mm, 110x70mm, thick 5.0mm taper to 3.5mm, blue stitch. 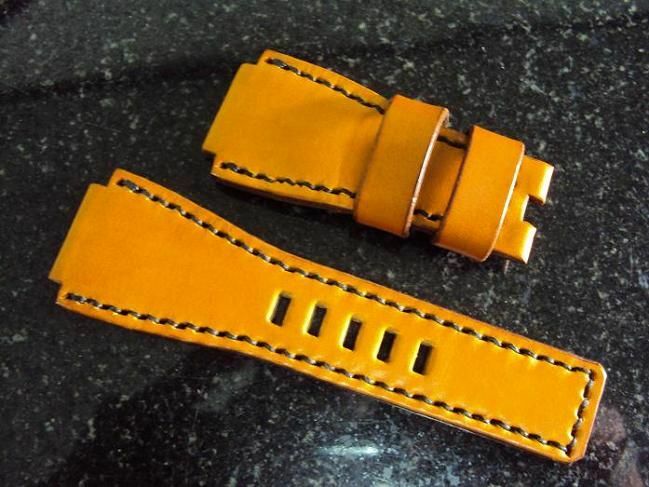 Svw365, Custom strap orange crocodile strap, 19x19mm, 70x115mm, thick 3.8mm taper to 2.8mm, orange stitch. 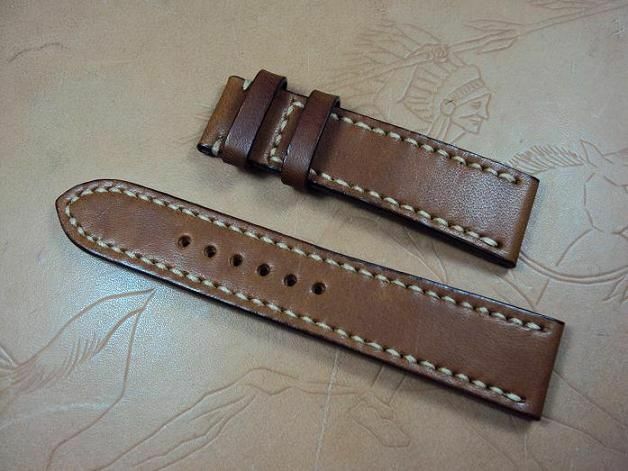 Svw366, Custom strap padded dark green crococalf leather strap, 22x22mm, 75x125mm, cream stitch. 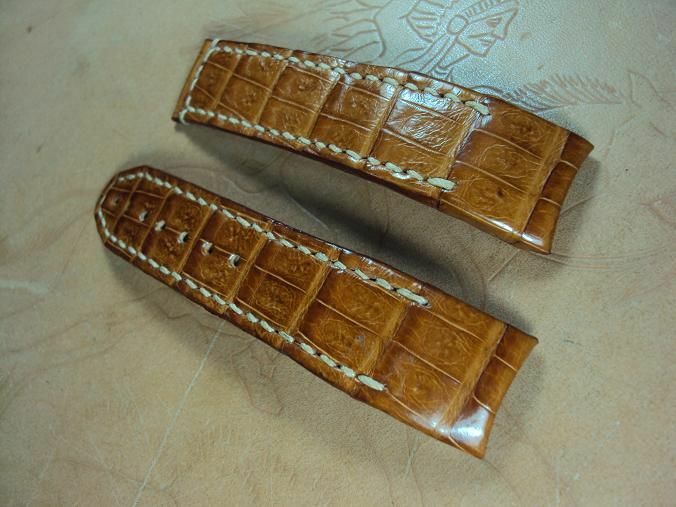 After that, we glue together among the up side Italian crococalf leather skin, the middle curved calf board pad and the back side calf lining and sew these three pieces together. 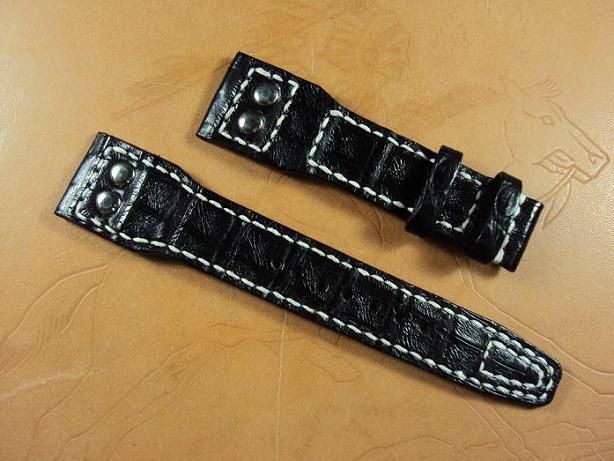 Therefore, our padded crococalf strap will be very durable, clean and anti-allergenic during the wearing period. 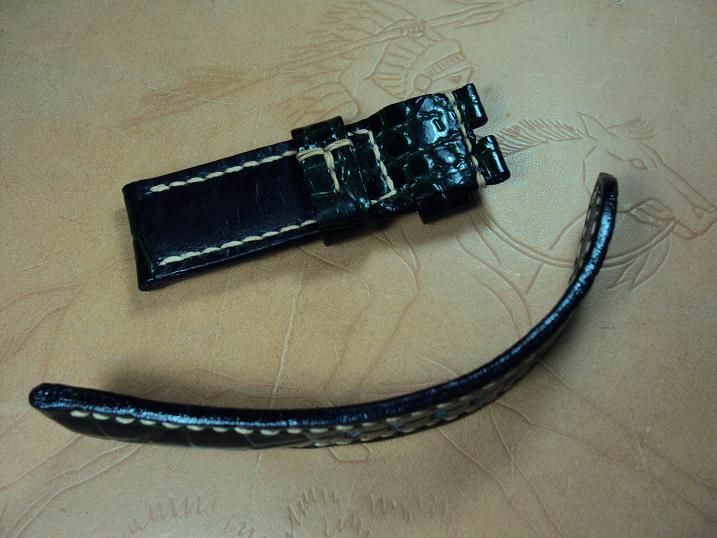 The padded crococalf strap is priced at $ 140 USD, now charges the promotional price at $ 90 USD including registered airmail worldwide shipping. 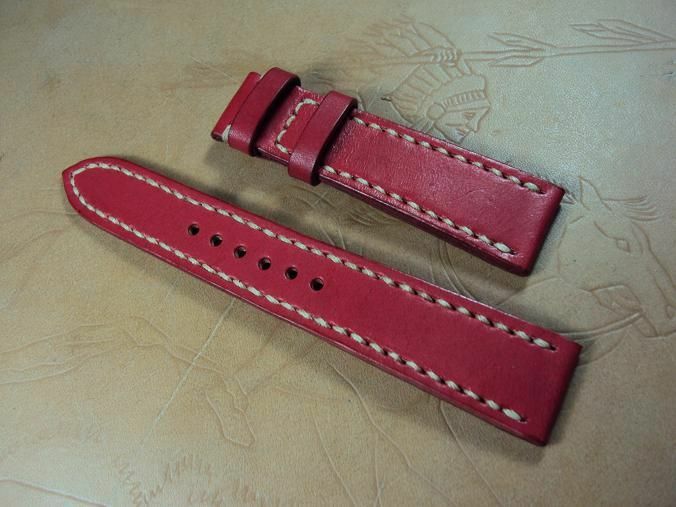 Svw367, Girrard Perrigaux Ferrari ultrasoft red leather custom strap, 20x18mm, 75x120mm, thick 4.0mm taper to 2.0mm, cream stitch. 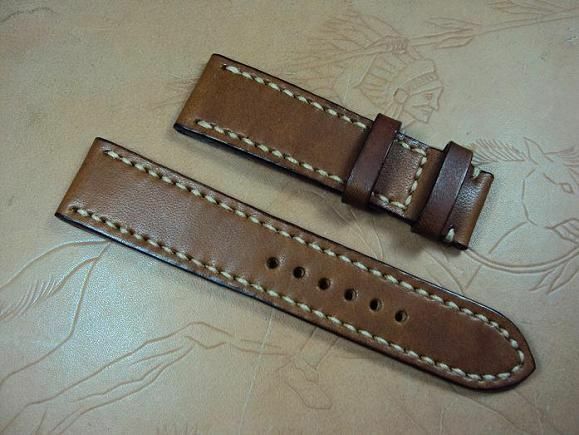 Svw368, Hamilton ultrasoft honey brown leather Custom strap, 22x20mm, 80x120mm, thick 4.5mm taper to 3.5mm, cream stitch. 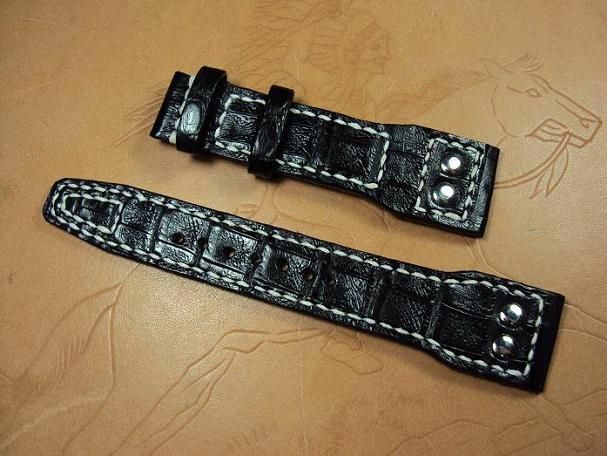 Svw369, IWC big pilot black crocodile belly strap, 23x18mm, 130x85mm, thick 4.5mm taper to 3.0mm, two 6mm keepers, white stitch. 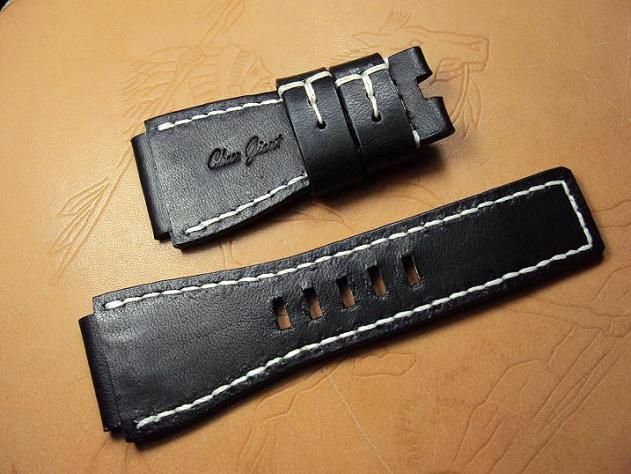 The IWC crocodile belly rivet strap is priced at $ 200 USD, it charges the promotional price at $ 150 USD. Shipping for worldwide Express Mail Service please plus extra $ 24 USD. 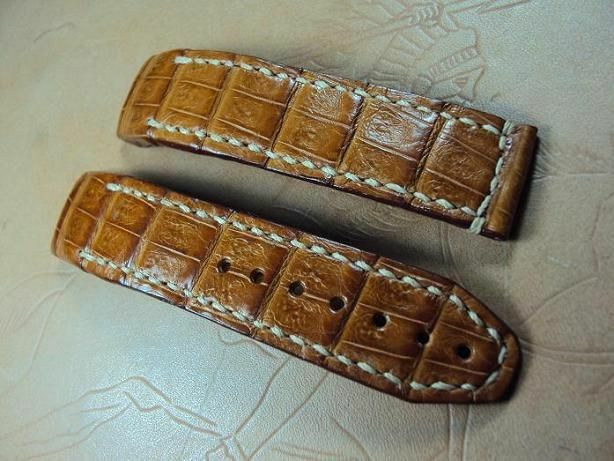 Svw370, Maurice Lacroix Masterpiece Reveil Globe chocolate brown crocodile belly custom strap, 20.5x20mm, 90x100mm, thick 6.8mm taper to 2.5mm, cream stitch. The Maurice Lacroix Masterpiece Reveil Globe crocodile custom strap is one of the most difficult hand made leather watch strap. The Maurice Lacroix Masterpiece Reveil Globe has the particular structure at watch lugs. There are a pair of particular inserts at the lug end of the Maurice Lacroix Masterpiece Reveil Globe strap. 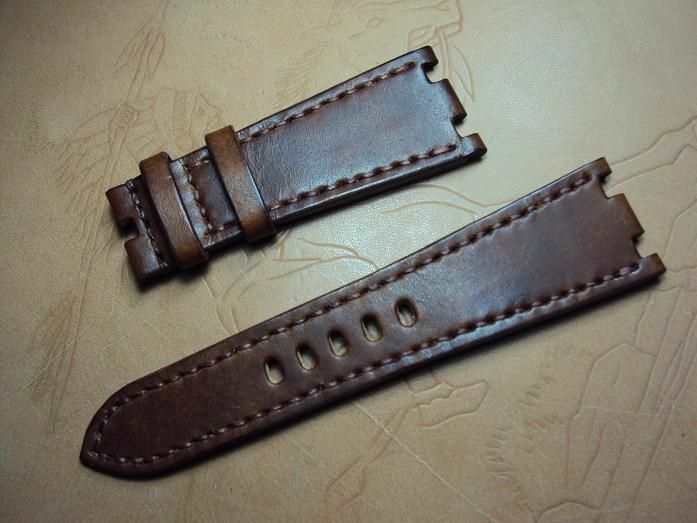 And I need the particular inserts of the old atrap to produce the middle layer of the new custom strap. 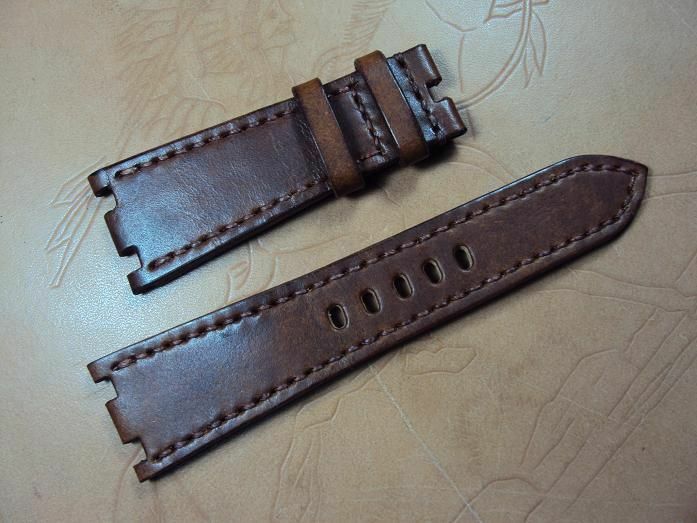 We drilled two holes at the inserts of the old Maurice Lacroix strap to prepare the really sewed producing process. 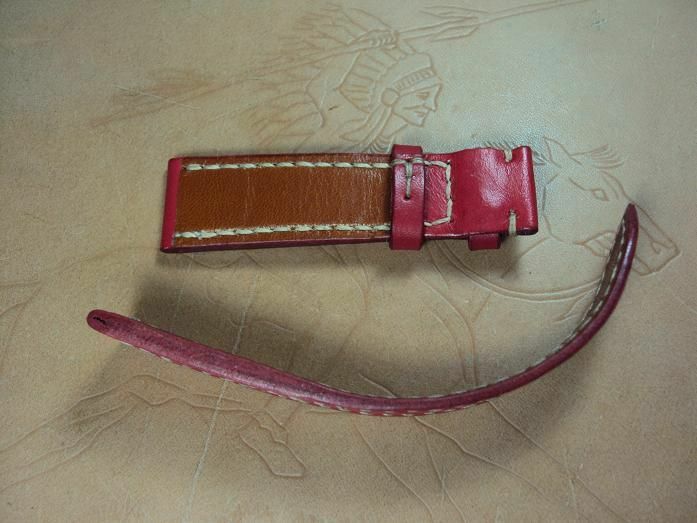 And our Maurice Lacroix custom strap was really sewed together include the inserts. 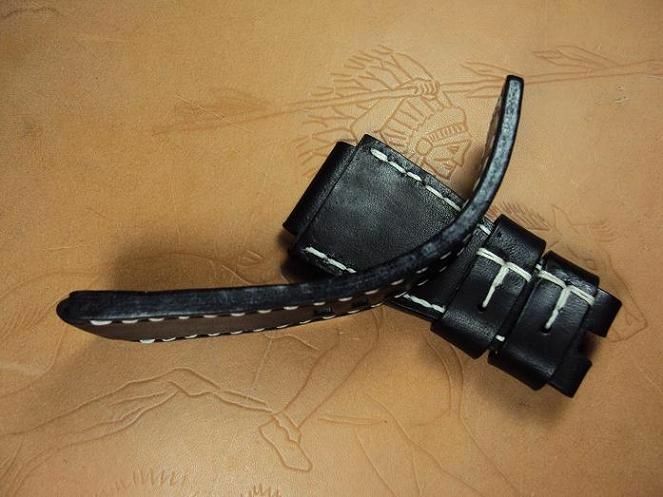 I have to pare the calf leather to be proper thick, and package the inserts with the calf leather to produce the middle layer of the new custom strap. 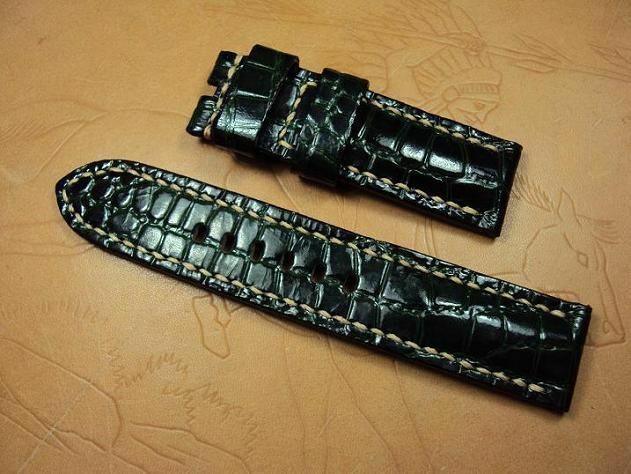 Therefore, our Maurice Lacroix padded crocodile strap will be very durable, clean and anti-allergenic during the wearing period. 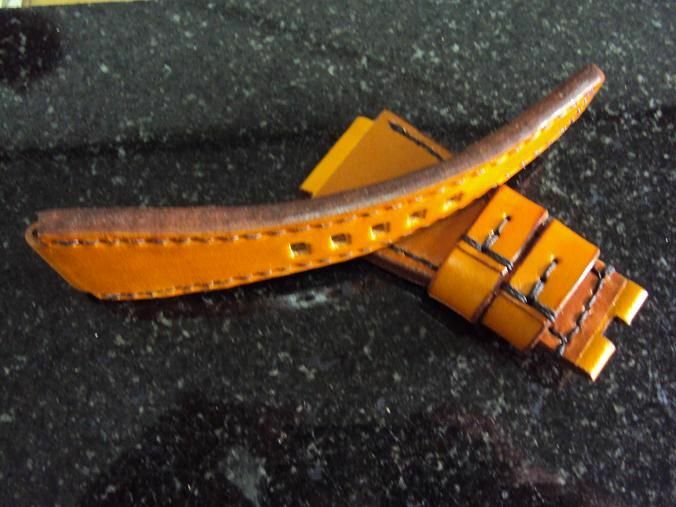 Please notice that this Maurice Lacroix custom deployant strap service is limited only for sending me the Maurice Lacroix OEM old strap that has worn. 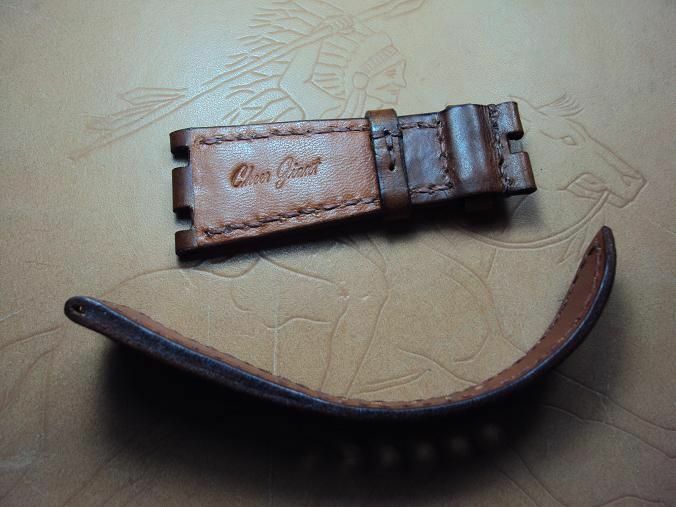 No including the buckle. 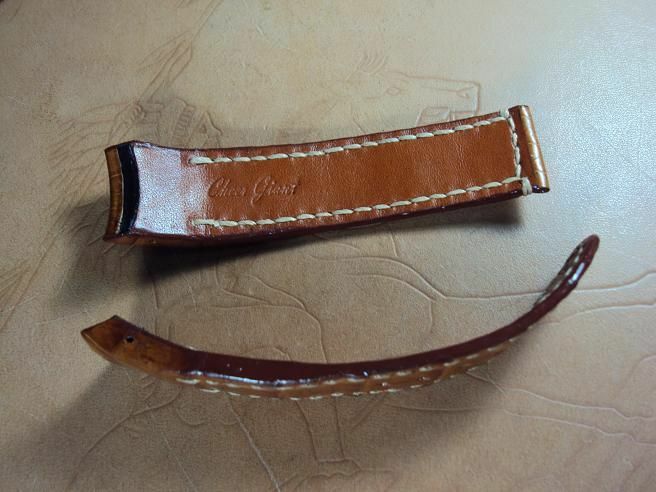 The strap is really sewin with the cream thread. 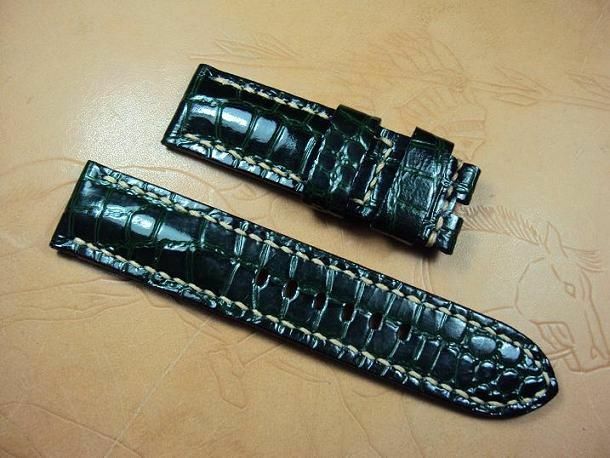 The Maurice Lacroix custom crocodile belly strap is priced at $ 400 USD, now charges the promotional price at $ 300 USD. Shipping for worldwide Express Mail Service please plus extra $ 24 USD. The price is due to the difficult producing process. 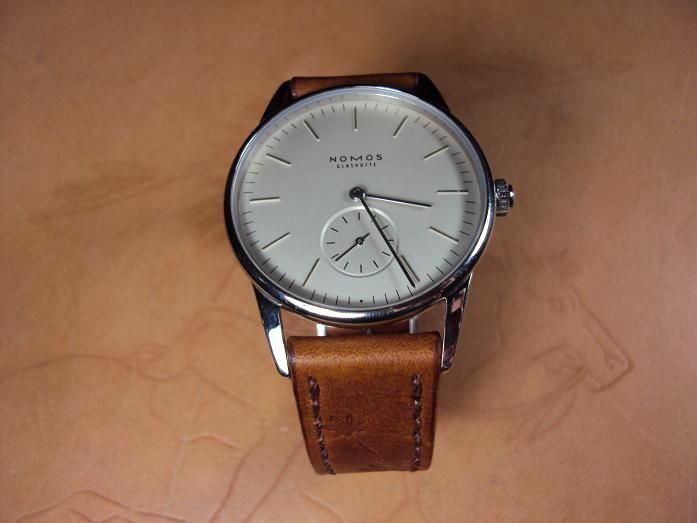 Svw371, NOMOS chocolate brown leather custom strap, 18x16mm, 115x65mm, thick 3.6mm taper to 2.5mm, dark brown stitch. 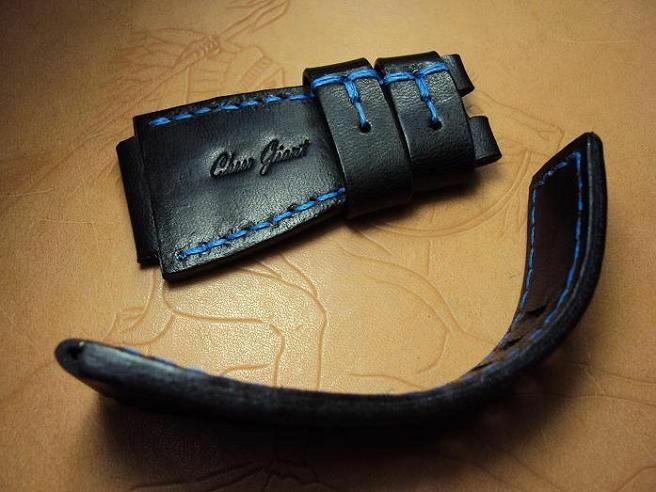 More photos of my custom straps are available for your reference, please feel free to email me, or please search Cheergiant Strap via Google. Next Topic: FS: Vintage HAMILTON Model 33 in original box - $55 shipped!